Tools | Surviving Minecraft, Minecraft Adventures! 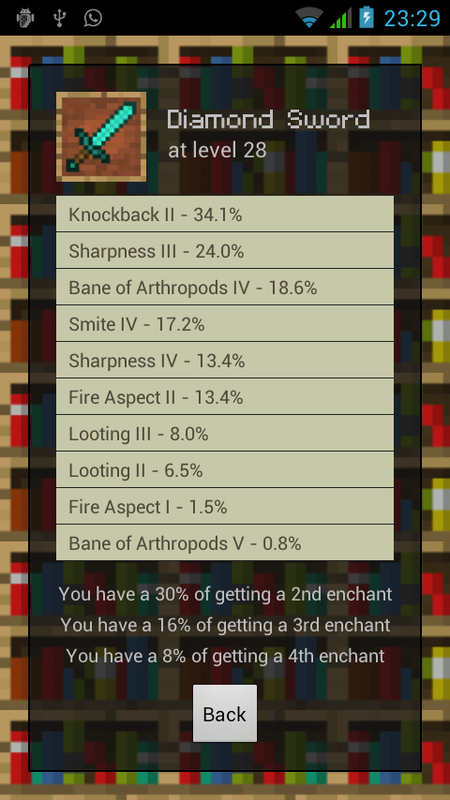 An app for Android, Enchanty Pro calculates enchantments for players who don’t like just putting items into the enchantment slot and hoping for the best. So what does it actually do? 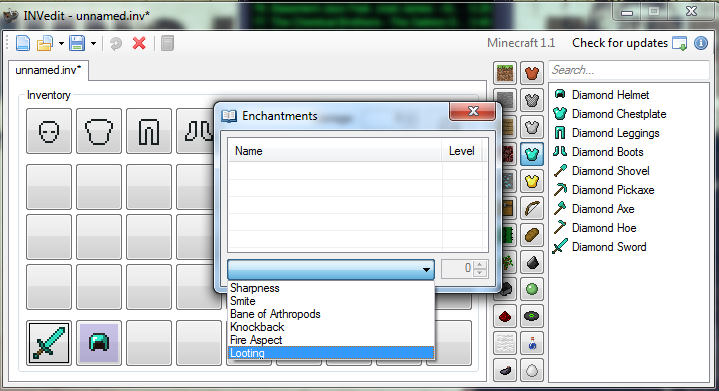 Well, on the basic level you can input an item and the number of enchantment levels you have to spend. The calculator will then provide you with a list of enchantments you could get, along with the likelihood of getting each one. The Pro version (free in this download for a limited time) allows you to reverse engineer enchants, working out precisely when is the best time to try to get an enchant you want. Free enchantment calculator download here! This entry was posted in Tools and tagged enchantment calculator on May 28, 2013 by Hope. The Magic Launcher makes loading mods and switching between various versions of Minecraft easier than ever. Have you ever downloaded one of the minecraft snapshots but later wanted to play a map designed for an earlier release? With the Magic Launcher you can simply choose which .jar file to use. Handy! Click here to learn how the Magic Minecraft launcher can load your mods, check for conflicts and make your minecraft life better… oh and download the tool of course! This entry was posted in Tools on March 7, 2012 by Hope. INVedit is the lazy minecrafter’s godsensd – a program that allows you to edit your Minecraft inventory. It has been around for many Minecraft moons and it’s perfect for people who like to play survival games but still give themselves 64 diamonds every now and then for the fun of it. The NEW INVedit has enchanting options. You can enchant items right in your Invedit window. Click here to read more and learn how to cheat your way to enchanting success! This entry was posted in Tools on February 27, 2012 by Hope. With MC Edit’s development being halted, the citizens of Minecraft have to look for a new way to edit worlds on a large scale. World Painter might very well be the world creator we’ve been looking for. It’s not quite the same as MC Edit, being designed mainly for the creation of terrain features, but in many respects it is actually better. Click here to read more and download Minecraft World Painter! This entry was posted in Tools on February 19, 2012 by Hope. A tool still very much in the alpha stages, World Painter is a tool that allows you to create your own Minecraft worlds from scratch. Think of it like MC Edit, but instead of having to work your way through three different dimensions, you can just paint layers onto a topographical style map. Having used both MC Edit and World Painter, I find World Painter to be more intuitive and much easier to use than MC Edit. This entry was posted in Tools on July 5, 2011 by Hope. 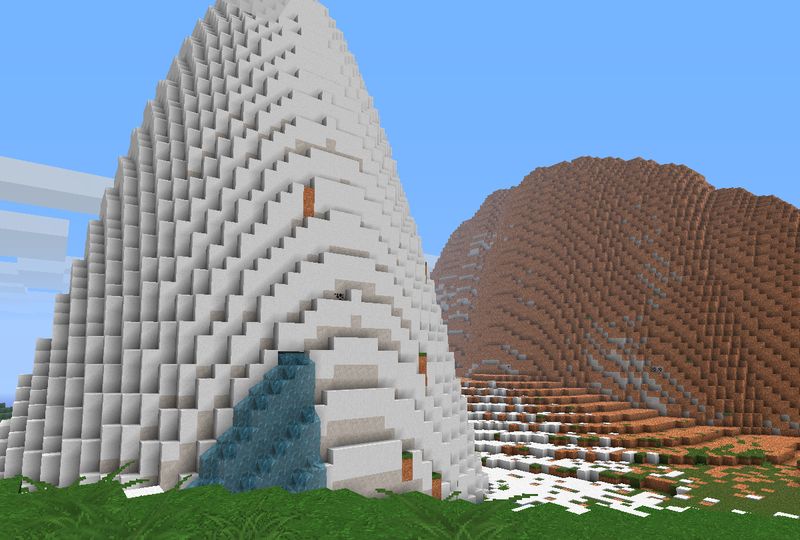 The Teeth of Time Minecraft tool is an interesting tool that takes an existing world and applies the effects of time and decay to it. It’s designed to create realistic ruins and other types of aged structures and generally give your Minecraft world a bit of a sense of history. The tool ages blocks (turns cobblestone into mossy cobblestone), topples blocks and knocks down unsupported structures. Read more, check out the before / afters, and download! This entry was posted in Tools on June 18, 2011 by Hope.